It's 6am, and I have a hankering for some penny slots and an over-the-top bloody mary. Four and a half hours later and I'm sitting at Todd English P.U.B. in Las Vegas. As many of you know, I am leaving the sunny sands of Long Beach, California for the land of grunge music, flannel shirts and neck beards. Yes, Seattle. But before I leave, I had to fit in just one more road trip to Paradise. I'd heard about Guy Fieri's new Vegas Kitchen brunch, but 52 ounces of bloody mary seemed a bit much even for me, so Todd English won out. On Saturdays and Sundays till 2pm, Todd English P.U.B. offers a "Farm to Table" bloody mary menu that allows you to completely customize your bloody mary with various mixes, garnishes, house-infused liquors and more. 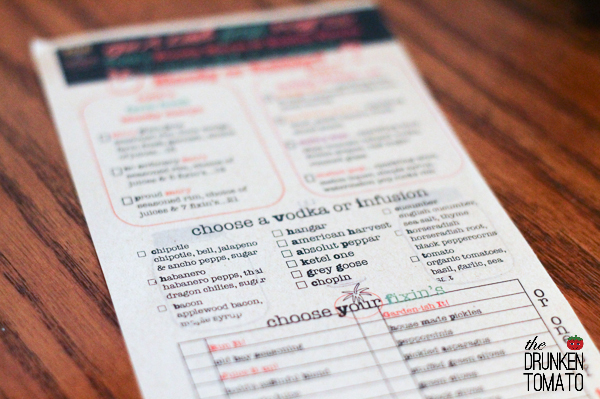 We're talking about an impressive number of customizations here with everything from habanero vodka to a lobster garnish. But if you really want to go all out, the real show stopper is the "All About Mary." Coming in at $35, this thing is a beast and includes, well, pretty much every garnish you can think of on top of a classic bloody mary. The Celery Stalker got it insteadof brunch. We could talk about the garnish, but I won't, because it's pretty self-explanatory. Look at the picture, salivate, move on to the drink itself. The mix is salty and savory with a robust tomato flavor. 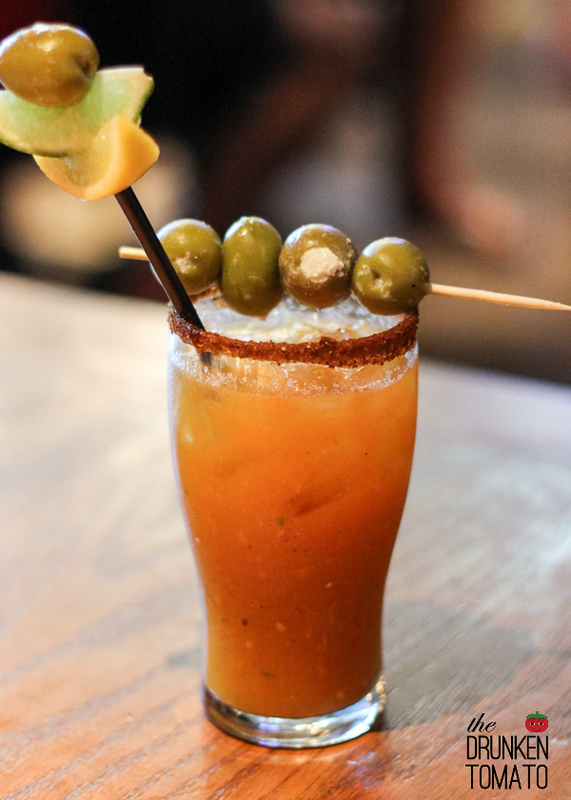 When paired with the horseradish infused vodka, it becomes the kind of hearty, restorative bloody mary you want need after a long night of Vegas drinking. My only complaint would be that it was kind of warm. Maybe it takes too long to assemble that garnish, or maybe there just wasn't enough ice, or maybe I should just chalk it up to being in the 100 degree desert. But it definitely could have been colder. So is it worth $35? It's definitely the most expensive bloody mary I've ever purchased, but I would say yes. The garnish really is a meal in itself, and this is Vegas after all. Go big or go home. No lie, I just got this bloody mary because it looked weird. Champagne vinegar, organic yellow tomatoes and dragon chilies are not ingredients I normally encounter in my bloody marys. But it worked. Super fresh tomato goodness and a spicy lingering heat made this mix simultaneously light and fresh while still maintaining a very complex flavor. The tomato basil infused vodka didn't overwhelm, and the olive brine and citrus brightened the drink. However, a heavy dose of horseradish dominated this mix despite not being on the list of ingredients. All in all, this refreshing bloody mary was good for a hot day, but maybe didn't provide the savory Worcestershire flavor I was hoping for at the moment. With all the other options on the menu, I probably wouldn't get it again, though damn, those stuffed green olives were delicious. After brunch, I totally saw Dave Coulier perform at the South Point Casino, and he was actually pretty damn funny. Definitely worth my $15. Also, I lost all my pennies. Oh well. 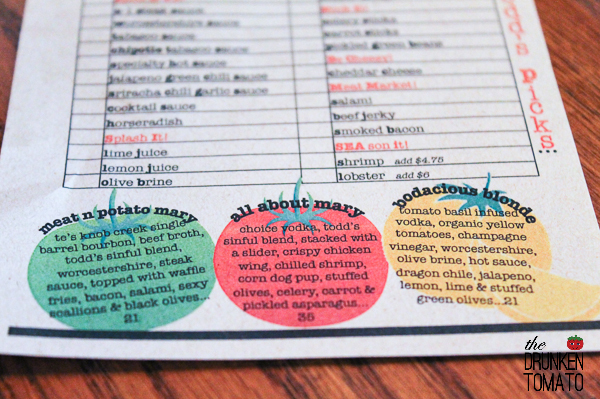 For it's very comprehensive custom bloody mary menu, Todd English receives 4.5 Celery Stalks. 3720 S Las Vegas Blvd., Las Vegas, NV 89109. 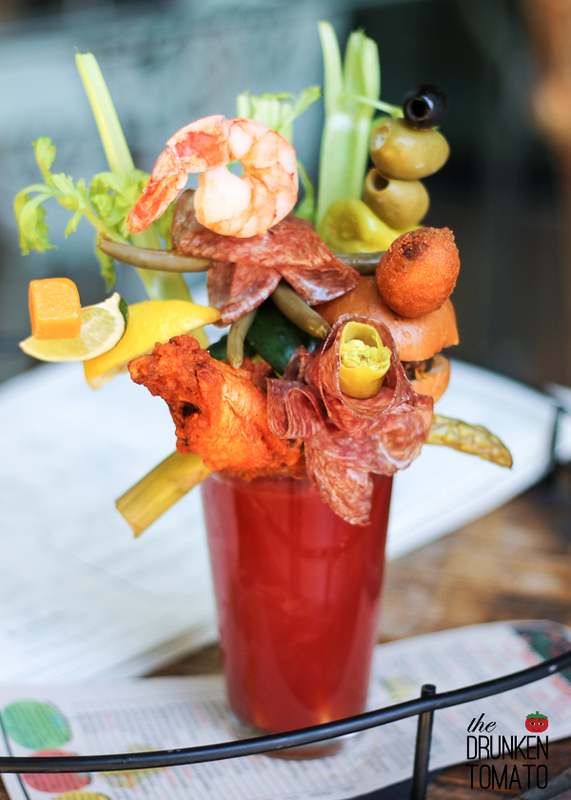 Get Ready for San Francisco's First Annual Bloody Mary Festival!